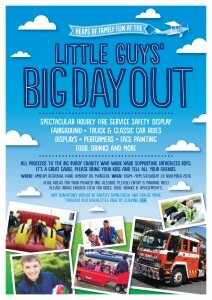 Last day before “Little Guys’ Big Day Out” in support fatherless boys, and now it’s all about publicity. 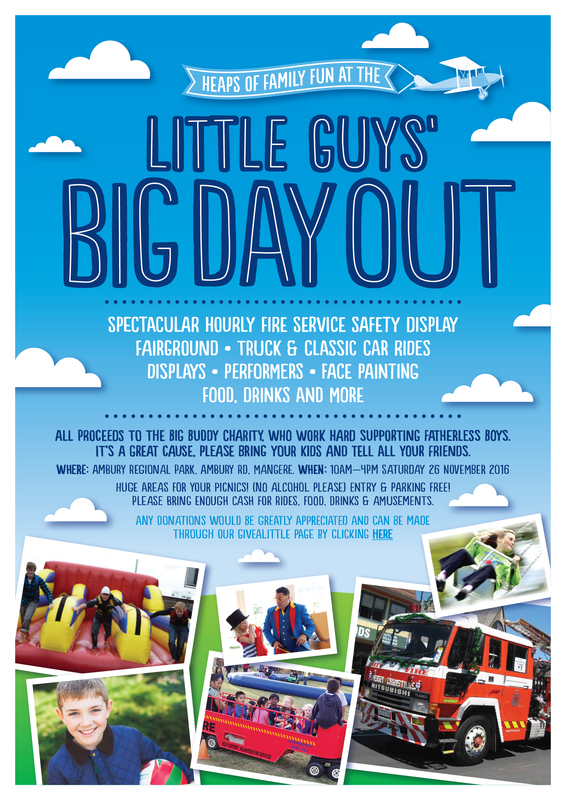 It’s a free parking and entry family event at Ambury Regional Park, Ambury Road, Mangere, Auckland on Saturday 26 November, 10:00 a.m. till 04:00 p.m. Please donate to Big Buddy via Givealittle, or if you feel you want to get more involved, apply to be a Big Buddy. Bring your family. That’s easy. It’s free entry and parking. Bring coins for rides and funfair. Displays free. Please support Big Buddy by donating at our Give A Little page. “Every little counts”. People always say this, but it’s true. And it makes you feel good for the rest of the week. Do it now. It’s so quick and easy. Thanks.